Network Rail is set to unveil plans for two footbridges over the level crossings in Lincoln city centre. The company will be looking for comments from residents in order to develop designs which would be in keeping with the city centre. On June 1 (9am – 5.30pm) and 2 (10am – 4pm) Network Rail will have stands at St Marks and at The Waterside Shopping Centre, where it will show the work which has been completed so far. It the project progresses as planned, the footbridges could be in place by 2014, when the barriers would be closed for longer times. The plans are also intended to reduce the risk of misuse at High Street and Brayford Wharf level crossings in Lincoln. 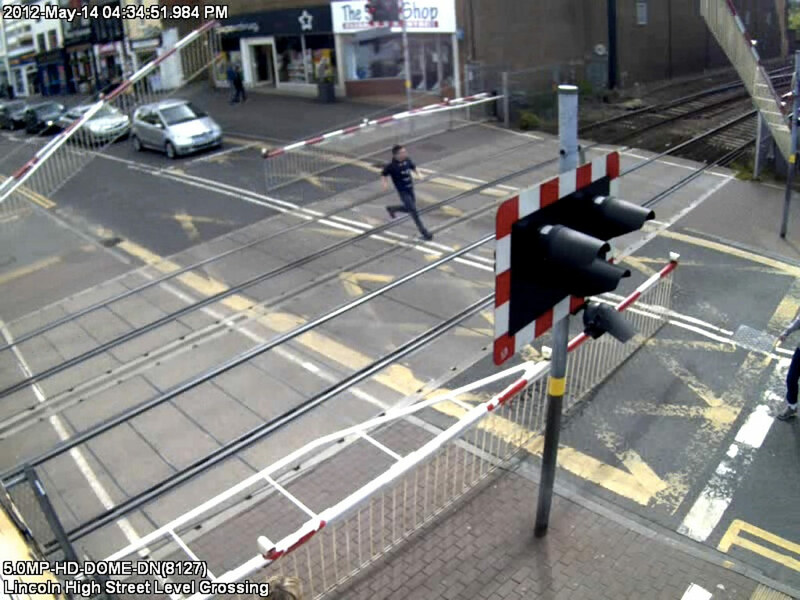 “We regularly see people rushing across the level crossings at Lincoln High Street and Brayford Wharf once the warnings have started,” explained Phil Verster. “We even have instances of people lifting the barriers. Clearly this behaviour is highly reckless and dangerous. “Much level crossing misuse results from people not thinking about the risks but we believe frustration caused by the location of the crossings is also a factor in Lincoln. “The crossings here are already the highest possible safety design so we needed a pragmatic, joint effort to further reduce the risk of misuse. — Update on May 29: Lincoln MP Karl McCartney welcomes Network Rails plans for the footbridge, and improvements in safety. “I would like to warmly welcome Network Rail’s first public steps to reduce the risk of misuse at Lincoln’s High Street and Brayford Wharf East level crossings by seeking to improve pedestrian access around central Lincoln through the provision of two new footbridges. “I gather that representatives from the City and County Councils, the University of Lincoln, as well as residents, workers, and students and visitors to Lincoln, have been or will be invited to contribute to the plans. “After years of procrastination, it seems that Network Rail are finally taking responsibility for easing the pedestrian and vehicular congestion caused by the barrier down time of its local level crossings. “This may well be because the current 20-23 minutes per hour the barriers are down during the day is to be increased by Network Rail to 40+ minutes per hour to allow long freight trains to pass slowly through our beautiful City.